At The Studio Museum in Harlem, we believe that behind every transformative educational experience is a seasoned educator. The Museum Education Practicum provides an in-depth look at museum education from the guidance of the Studio Museum’s knowledgeable educators. This course is designed to provide emerging museum and arts educators with an intensive training program. The curriculum includes seminars and in-gallery lab sessions, professional talks, presentations and opportunities to observe an array of education programs. Participants also gain firsthand experience facilitating and developing tactics and strategies that deal with adult, school, youth and family audiences. While exploring both theory and practice, participants will enter into a very specific conversation around artists of African descent, contemporary art practice and programmatic strategies. While the Studio Museum’s building is currently closed in preparation for groundbreaking on our new building, the Museum is working to deepen its roots in the community through inHarlem, a dynamic set of collaborative programs in our neighborhood. The Museum’s exhibitions, thought-provoking conversations, and engaging art-making workshops will continue at a variety of partner and satellite locations in Harlem. 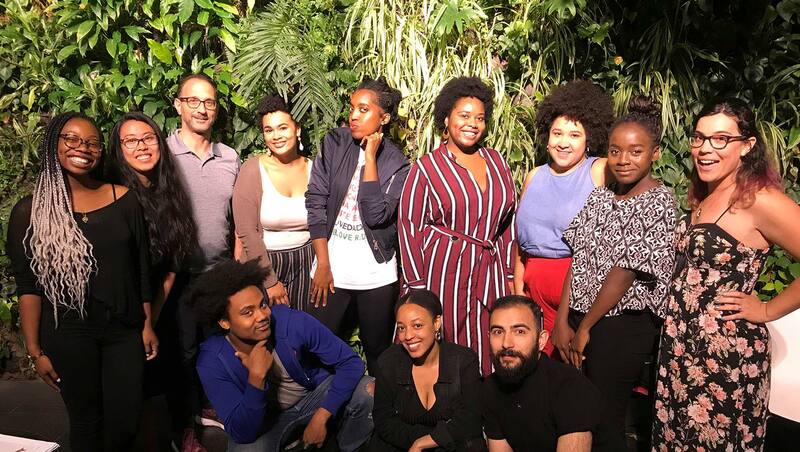 In this period the Museum Education Practicum will be doing site-specific work at various New York City cultural institutions. Applicants must have an interest or background in the following fields: Art History, Arts Education, Art Criticism, Museum Studies, Museum Education, Master of Fine Arts or Africana Studies. All applicants must be able to commit to every Wednesday throughout the duration of the program. The next program cycle runs May 8–June 26, 2019. Describe your interest in the museum as a site for education. Why are you interested in the museum versus other educational models (i.e. classroom, etc.)? Please specify your areas of interest and their relationship to the museum’s mission, collection, and programming. How will you contribute to your cohort and the museum as a whole? What are your career goals and how can this program help you accomplish these goals? Please discuss an example, from your academic or professional career, which illustrates these goals. Please submit your application materials in one PDF and email to education@studiomuseum.org by April 22, 2019 with the subject line: Museum Education Practicum Application.